Friday, January 27, 7:00 p.m. ATTENTION ALL NERDFIGHTERS: John Green is coming to the Fox Theatre on January 27 to celebrate his new book with his brother, Hank. Be prepared for a night of music, readings, comedy, free posters, fancy programs, and vlogbrother mayhem! This will be unlike any other reading or booksigning. Come and be entertained. 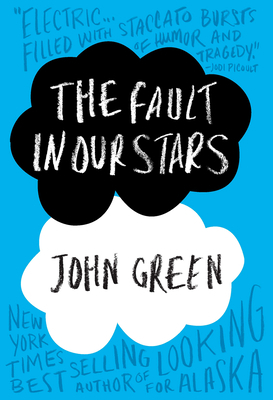 Insightful, bold, irreverent, and raw, The Fault in Our Stars is John Green's most ambitious and heartbreaking work yet, brilliantly exploring the funny, thrilling, and tragic business of being alive and in love. This is a ticketed event; we are sold out. Food and drinks are available in the lobby. No outside food and drinks will be allowed in the theatre.